Dr. Kramer has put in 8 dental implants for me over the years, he really knows what he is doing and I have had no problems at all. He is so knowledgeable, I really enjoy talking to him. Everyone I asked told me to see Dr. Kramer and they were right! He is wonderful, and made me and my son feel very comfortable about having his wisdom teeth taken out. Dr. Kramer was really great with me when I had my surgery. He was so nice and gentle. He even called me that evening to check on me. I didn’t think doctors did that anymore. I am so glad I saw Dr. Koterwas. He was just great and made me feel great about my surgery. I would recommend him to everyone! The doctors are great, that’s why my family will only come here. The staff is wonderful and helpful and always upbeat. Thanks to Megan for all her help with scheduling and working with our insurance. I recommend Oral and Facial Surgery to EVERYONE! Dr. Koterwas was wonderful, he really made my experience easy! My boyfriend went to Dr. Koterwas and when it was time for me to have my wisdom teeth taken out I went to him too. I am really glad I did! Both of us had an easy time and he was so nice. I had Dr. Koterwas for my wisdom teeth and he was really nice to me and made the whole thing very easy. I tell everyone that they have to go to this office. Sign-up for our newsletter to receive current events and news from Oral and Facial Surgery. 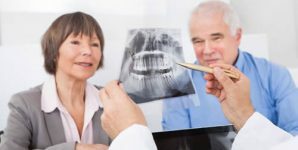 Oral and Facial Surgery serves dental patients in Hagerstown, Maryland, Chambersburg, Pennsylvania, Martinsburg, West Virginia, and the surrounding Tri-state area.